Hendrik (Henk) Frans Bekkering April 23, 1938 - October 9, 2017 It is with the heaviest of hearts that the family of Henk Bekkering announces his passing on Monday October 9th after a year long battle with Cancer. He passed away at UNHBC surrounded by his beloved wife Betty and friends. Henk was born in Utrecht, Holland at the start of World War II and he and his family survived German Occupation of Holland until Canadian Soldiers liberated the Netherlands in 1945. 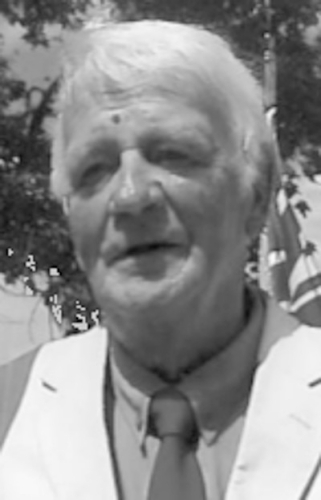 Henk's family emigrated to Canada in 1952 sailing into Halifax Harbour on Dominion Day. This year was the family's 65th Anniversary of arriving in Canada. Henk is survived by his wife of 48 years, Betty, sons David (Cielle), Mark (Adele) and Daughter Angela (Bob). Brothers Harm (Trixie) and Hans (Lil) and 7 amazing grand children Katie, Francesca, Ty, Jacob, Jaxon, Christian and Erika. He was overwhelmingly proud of all their accomplishments and will watch over them closely as they continue to succeed in life. With apologies for the extremely short notice there will be a celebration of Henk's wonderful life this Saturday, October 14 at 4pm at the Prince George Funeral Home at 1017 Douglas Street or on the corner of 10th and Douglas. A reception to follow will take place and Henk and Betty's home at 1417 Gorse Street. In lieu of flowers donations can be made to Active Support Against Poverty Henk's most cherished organization of which he was a volunteer for 25 years recognized earlier this year.